Cannabis has just officially been given the nod of approval from a governing board of the Jewish community, further legitimising its use. Over the last year, The Orthodox Union have been pondering the problem of exactly where cannabis fits into Jewish lifestyle. They have now made a decision, and it seems to be a positive one. Not only have they declared cannabis to be OK to use under Jewish faith, but also mitzvah when used to help the sick – mitzvah being something akin to affirmative action under the faith. It is great news for Jewish smokers, those who were worried about its status, as well as for all of us as a whole. The concept of kosher is very similar to the saying “you are what you eat.” In Hebrew, kosher describes something that is fit for consumption, or “pure,” under the teaching of the religion. There is very strict and comprehensive law concerning kosher products, and exactly what is OK and not OK to consume for those practicing the Jewish religion. The first place likely to see the fruits of this ruling is New York, where the organisation is based. 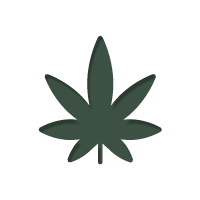 Any natural and unadulterated cannabis plant is automatically considered kosher, but things like extracts, edibles and pills must first be assessed before they can be regarded as kosher as well. Fortunately, Vireo Health of New York, a major medical marijuana manufacturer in the US, has just announced that it received that seal of approval for all of its products from The Orthodox Union. It means when medical marijuana hits the shelves of New York later this year, many of them will be acceptable to use under Jewish law. While this is great news for Jewish stoners everywhere, how does it affect the rest of us? Well, irrespective of what your views on religion are, the decision by a religious body to say that not only is cannabis use OK, but preferable in some situations, is not without significance. It is a demonstration of growing acceptance by a major religion and is sure to be influential in future decisions regarding cannabis. For those of us over here in Europe, it is another group of people saying, “yes, cannabis is fine,” and as the voices stack up, so does the pressure on our governments to reassess outdated drug policy. So rejoice, cannabis is once again given the thumbs up by another group of very influential people. It is time to go out and grab some Kosher Kush!